Hell hath no fury like internet denizens scorned. Hundreds of angry internet content creators have descended upon ScoopWhoop’s app and left it with unflattering reviews and one star ratings on the Play Store. ScoopWhoop’s App currently has nearly two thousand one-star reviews, and its rating has fallen to 1.2. The entire episode appears to have begun on 8th July, when a ScoopWhoop employee allegedly asked Andi Mandi Memes, a small Facebook page, to remove a meme they’d posted. The ScoopWhoop employee claimed that the meme “was ScoopWhoop’s property”, and asked them to take it down. 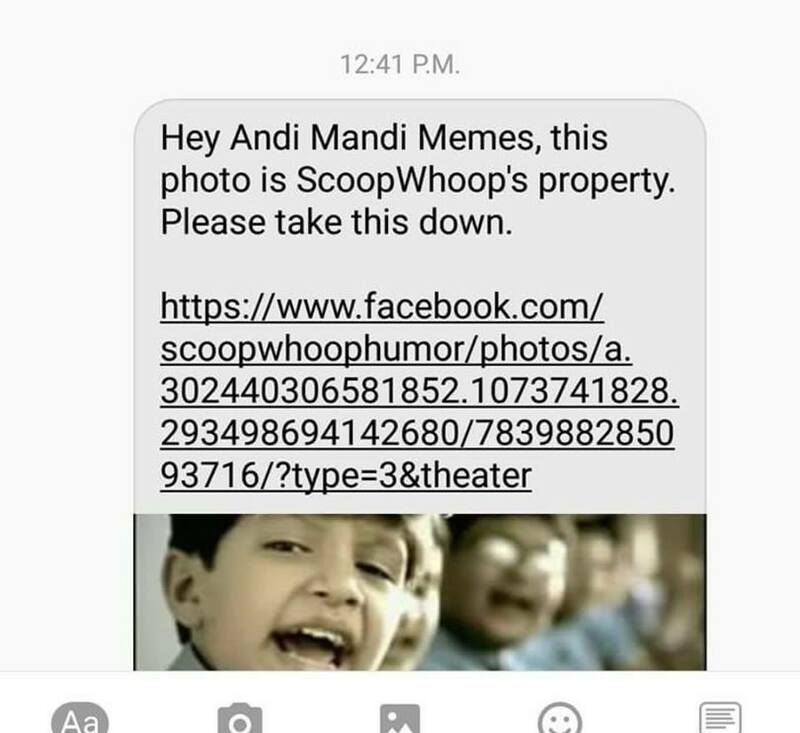 It appears that Andi Mandi Memes didn’t comply with the request, because ScoopWhoop allegedly went ahead and reported the page to Facebook. Facebook then proceeded to deactivate Andi Mandi Memes, and the page appears to be no longer accessible. This has drawn the ire of internet users, who claim that it’s an instance of a large company bullying a small Facebook page. “Stop harrassing kids, Scoopwhoop. All we wanted was some dank memes and what you did? Reported a humble meme template!,” says an angry comment in the Google reviews. 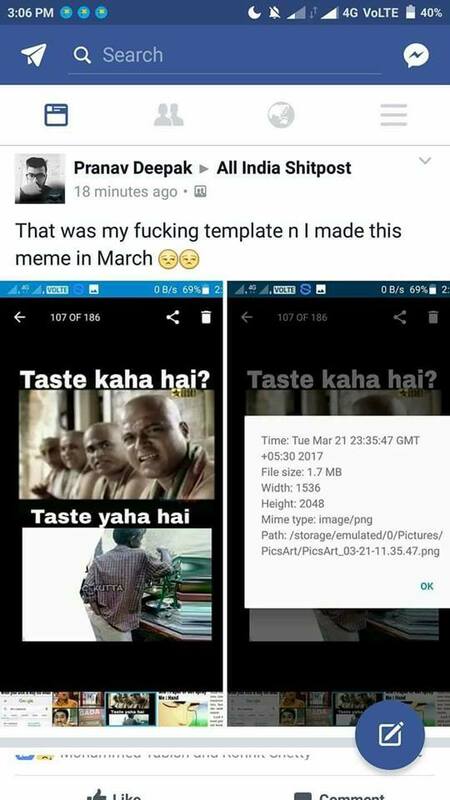 What appears to have further incensed the digital mob is the revelation that ScoopWhoop didn’t come up with the meme in question — a user claims to have created a similar meme all the way back in March. It might seem like too much fuss about a funny image, but memes are serious business. ScoopWhoop has raised over Rs. 30 crore from investors, and millions of Pages across Facebook vie to post content that most engages with audiences — pages with sizable followings can earn money from posting sponsored links on their sites. Plagiarism in the industry is rampant, and pages liberally lift material from each another. Facebook has procedures to help report pages if they use stolen content, but it’s rarely enforced. And it’s hard to clarify what exactly was stolen. The nature of the internet memes involves lots of reuse and repurposing — ScoopWhoop itself appears to have used clips from a movie to create the meme that it claimed it owned. 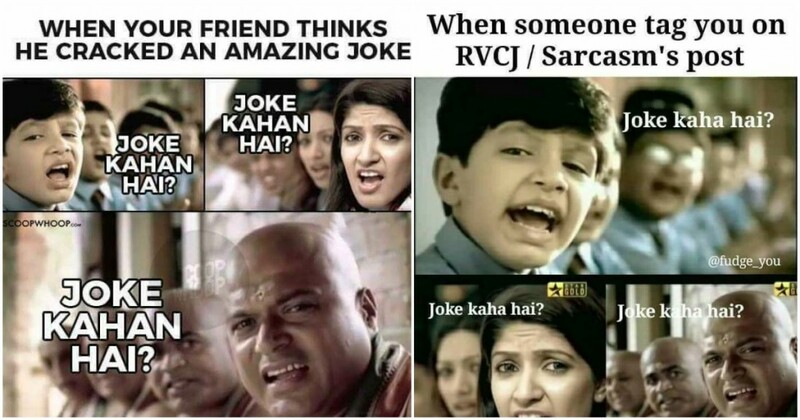 Andi Mandi memes seems to have used ScoopWhoop’s idea with a different caption. In such a situation, it’s hard to draw a line to clarify who owns what. For now, an internet mob appears to think ScoopWhoop is squarely at fault. There have been allegations that ScoopWhoop has been deleting comments and banning people who’ve protested from its Facebook page; as a consequence, threads on Reddit and Facebook have been encouraging people to hit ScoopWhoop Play Store’s page with one star ratings. It’s a method of protest that several startups are now familiar with — late last year, Snapdeal had been hit with one star ratings after Aamir Khan, its brand ambassador, appeared to insinuate that he wanted to leave the country. Earlier this year, angry Snapchat users had left it angry reviews after rumours surfaced that its CEO had said that India was too poor for his company to expand into. ScoopWhoop is the latest company to have fallen afoul of an internet lynch mob. And the fact that it appears to consist entirely of young, urban internet savvy users who ScoopWhoop would consider a part of their user base should give them lots of reasons to worry.